Suzlon established in 1995 with the philosophy of sustainable environmental, economic and social development at its heart, it’s one of the leading renewable energy solutions providers in the world. It delivers technologically advanced and profitable wind energy solutions for all types of wind regimes, environmental conditions and terrains, both on-shore and off-shore. 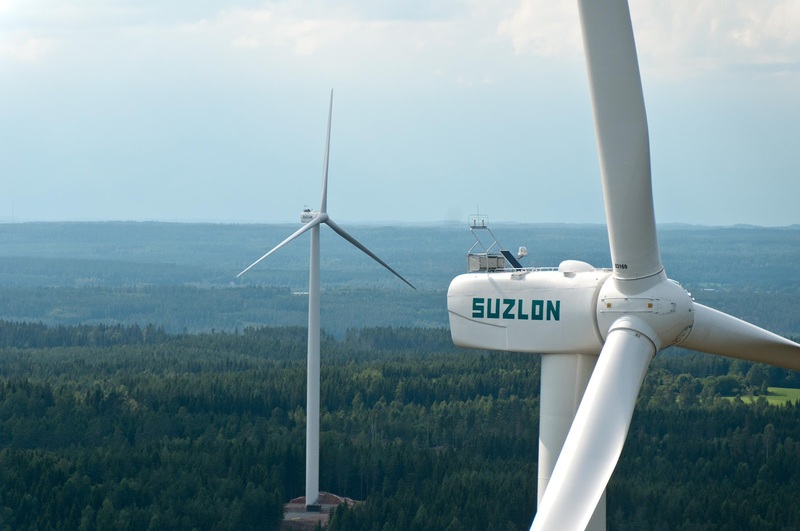 Now, Suzlon has won the 52.4 MW project order from Oil India Ltd (OIL), says its press release. Oil India Limited (OIL) is the second largest hydrocarbon exploration and production Indian public sector company in India under the administrative control of the Ministry of Petroleum and Natural Gas. OIL forayed into the renewable energy space in the year 2015. The order includes Suzlon’s latest products – Installation of 13 units of S111 90m tubular tower and 12 units of S97 120m Hybrid Tower with a rated capacity of 2.1 MW each. “We welcome Oil India Ltd in our customer profile and would be delighted to forge a solid partnership with our maiden venture with them. We are witnessing increasing traction in investments in renewables by leading PSUs. This order win is a testament of Oil India’s confidence in Suzlon’s technology and execution capabilities. Suzlon is in alignment with the nation’s COP 21 commitment of generating 40% of its energy from non-fossil fuel sources by 2030. With our pan-India presence, end-to-end solutions and technologically advanced product, Suzlon is aptly positioned to capitalize on the growing market opportunities in India,” said J.P. Chalasani, Group CEO, Suzlon Group. The S97 2.1 MW wind turbine generator (WTG) features the time tested Doubly Fed Induction Generator (DFIG) technology which is designed to maximise generation and unlock low wind sites. It is one of the tallest all-steel hybrid tower (120 meter height) in the world and combines both lattice and tubular structures. It has achieved a plant load factor (PLF) of 35% over the first 12 months of operation. The S111 90m features a rotor diameter of 111.8 meters with a swept area of more than 9500 square meters, making it one of the highest yielding wind turbines in its class. The S111 90m proto type was successfully commissioned in Tamil Nadu. The project is capable of providing power to over 28,000 households and offset 0.11 million tons of CO2 emissions per annum and projects to be commissioned in Madhya Pradesh and Gujarat by June 2017.